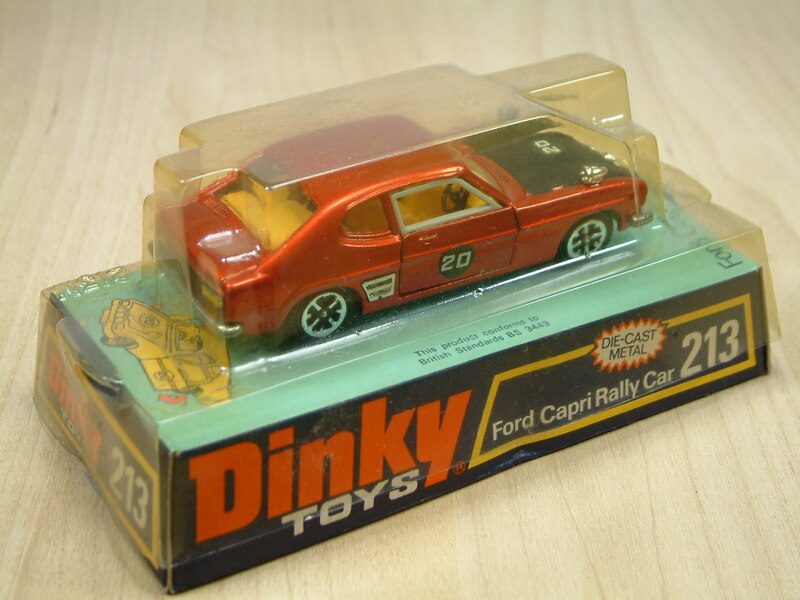 Dinky Toys No 213 Ford Capri Rally Car in blister packaging. 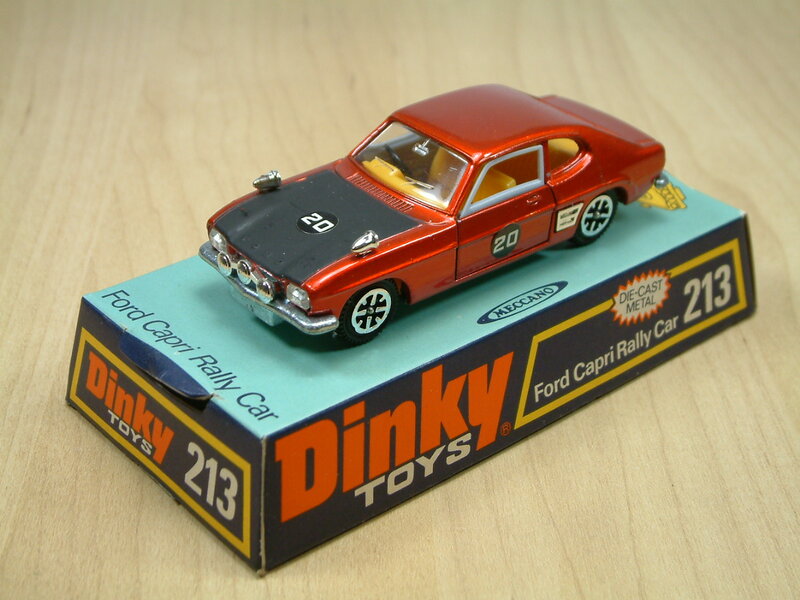 The Capri was made in a number of regular colours. 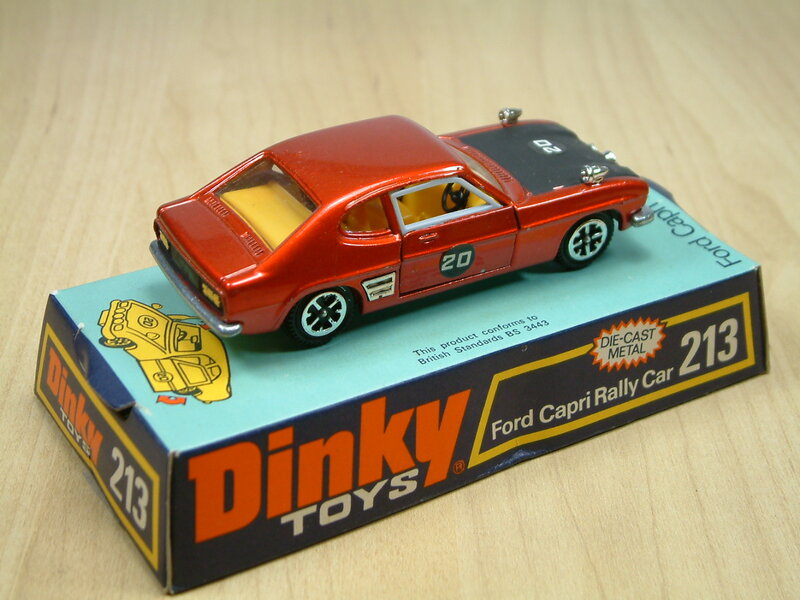 This rally version was made from 1970 until 1974. 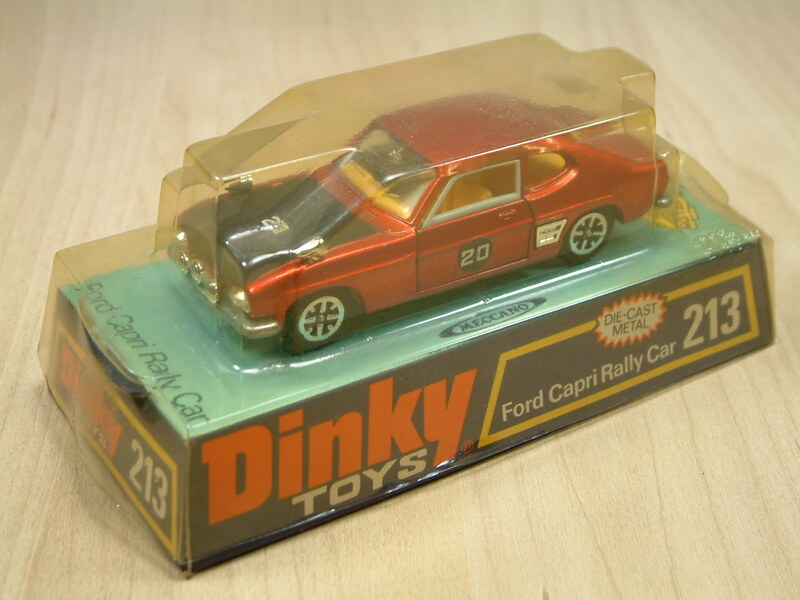 This entry was posted in Cars and tagged Capri Rally, Dinky, Dinky 213, Dinky Blister, Dinky Capri, Dinky toys. Bookmark the permalink.